CFL series of SintAbond™ porous sintered media, filters, and parts are available in a range of metallic and plastic materials. 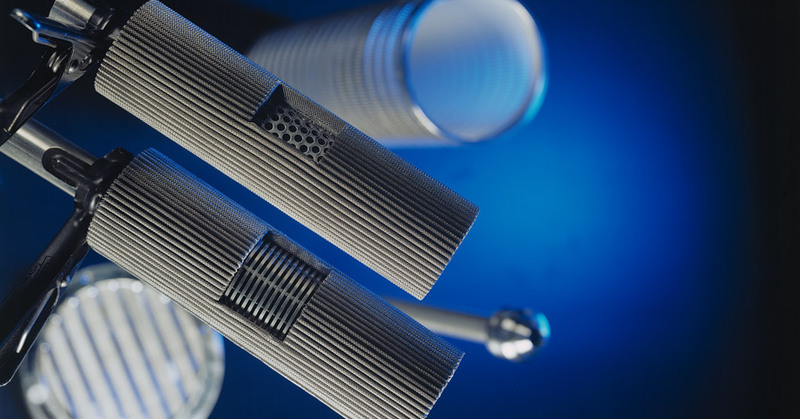 Continuous development of products and materials enables us to offer a dynamic approach to the design and production of outstanding porous filters and components. SintAbond™ comprehensive range of core products are offered in compliance with clients specific requirements, with the flexibility to produce custom filters and parts to suit numerous applications. CFL series of SintAbond™ filters and parts are manufactured in five core product catagories. 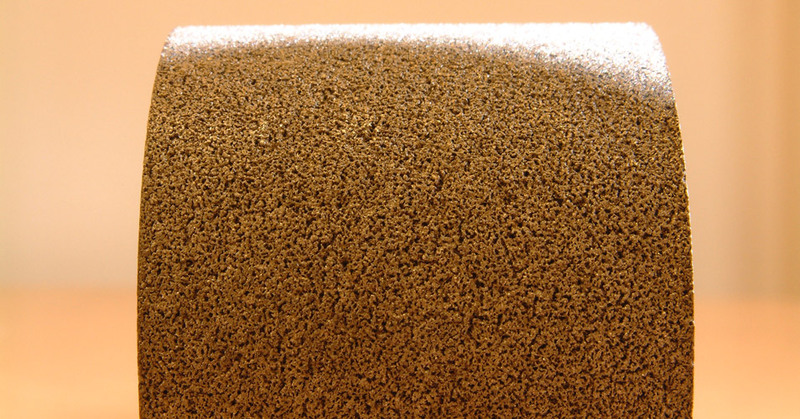 SintAbond™ PMET – Sintered Porous Powder. SintAbond™ MESH – Sintered Porous Mesh. SintAbond™ SBP – Sintered Porous Spherical Bronze. SintAbond™ PM – Sintered Porous Plastics. SintAbond™ HPF – High Pressure Parts. CFL utilise advanced vacuum sintering equipment and technologies to produce sintered materials and parts of the highest quality. SintAbond™ products are engineered and designed to meet specific application requirements. Flow resistance and permeability are dependant on structure, pore size, product density and thickness. 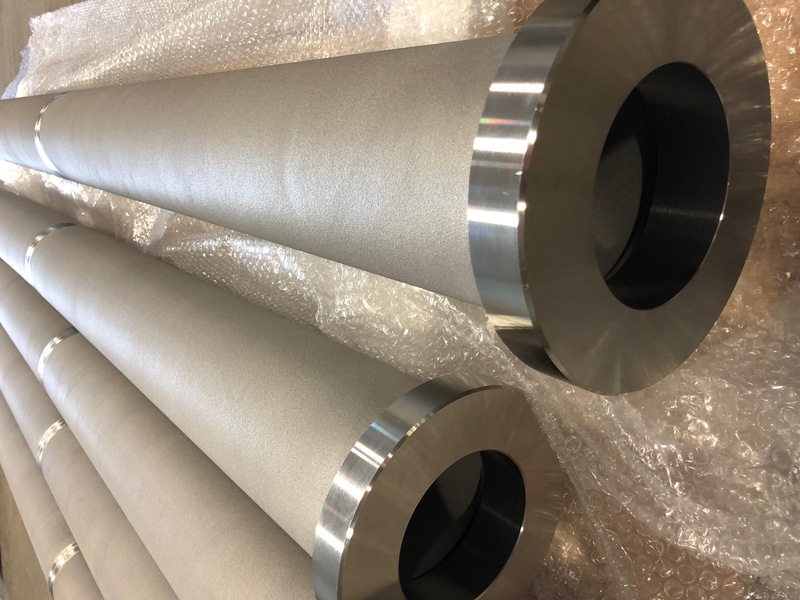 SintAbond™ PMET sintered metallic powder parts are produced using isostatic pressing technology, producing porous cylindrical parts, filter elements, discs and shapes. Available as standard in 316 and 310 stainless steel, alloys C-22, C-276 and Titanium, other metallic materials available depeding on product form and appliciation. SintAbond™ PMET is a proven, reliable, long-lasting media offering efficient particle removal, flow control, sound attenuation, and gas/liquid contacting. CFL strictly controlled sintering processes produce uniformly-sized pores in micron ratings from 0.2 to 200. Metallic particles of defined shape and size are pre-formed, and then metallurgically bonded. The interstices between the sintered particles form a permanent structure of pores whose size and distribution depends on both the raw material and the sintering process. SintAbond™ PMET semi-finished products can be fabricated into complex shaped parts. Thanks to the versatile machining properties of the material, parts can be milled, drilled and turned. CFL also have the ability to weld and bond sections, allowing the manufacture of large finished products and parts. 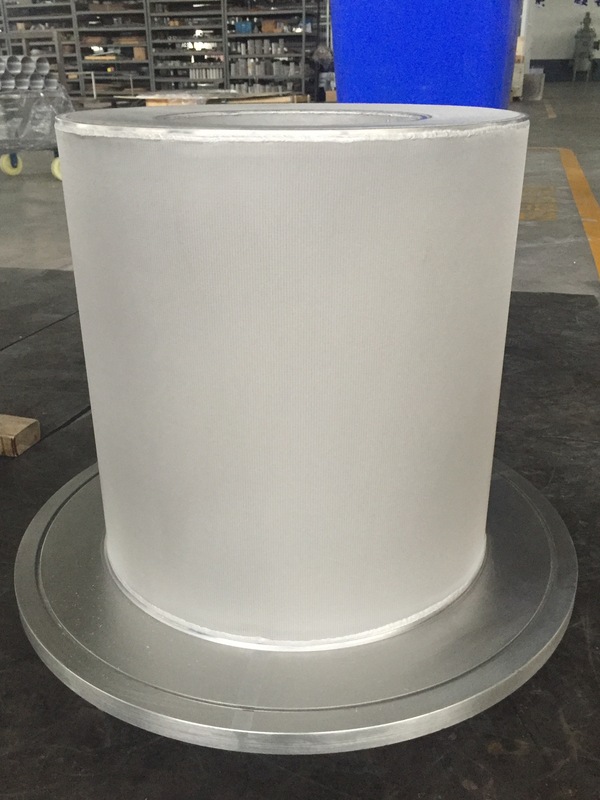 CFL SintAbond™ MESH is a versitile sintered porous mesh media, multiple layers of woven wire mesh and supporting structures, such as perforted metal, are laminated together using a vacuum diffusion-bonding process. 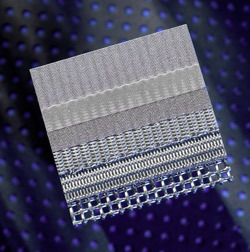 This process combines heat and pressure to permanently bond multi-layers of mesh and supporting structures together. The same physical process used to fuse individual wires together within a layer of wire mesh, also fuses adjacent layers of mesh and supporting structures together. This creates a unique material offering excellent mechanical properties. SintAbond™ MESH is available in a vast range of specifications and thicknesess, the unqiue flexibility of our manufacturing processes allows us to offer sintered mesh parts upto 200 mm thick. SintAbond™ MESH can be laser or water jet cut into discs and custom shapes, or formed into cones, cylinders, and filter elements complete with rings, flanges and fittngs. Large panels can be produced by welding several sheets together, for applications such as fluid bed driers. 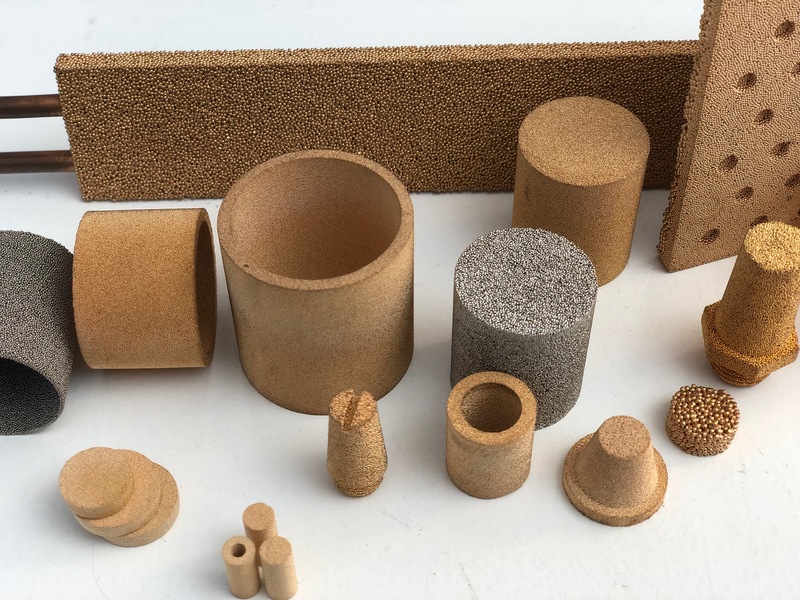 SintAbond™ SBP is a range of sintered spherical bronze powder parts and components, specialist tooling and a defined range of proprietary powders, allows CFL to produce a variety of self supporting robust porous parts. SintAbond™ SBP is a flexible product, lending its self well to many geometric forms. CFL have pioneered the production of dual density parts, the dual density property of SintAbond™ SBP offers a product with a coarse supporting structure and outer fine powder filtration layer. This offers many advantages including excellent drainage, good mechanical properties, exceptional cleanability and a highly porous stable structure. CFL strictly controlled sintering processes produce high quality seamless parts, in ratings from 2 to 150 micron nominal. During sintering the bonding of the spherical powder fuses at a temperature below its melting point to form a permanent structure of pores. SintAbond™ SBP parts are also available with various enhancing surface treatments such as nickel plating. SintAbond™ PM porous plastic parts and components are produced using carefully controlled thermal treatment, and precise processing technology, this produces parts with exceptional properties. With a broad range of proprietary polyethylene and polypropylene powder grades at our disposal, we offer parts with varying porosity and geometry suitable for a wide range of applications. Materials are available as finished moulded parts complete with thermally bonded fittings, rings and caps, cut shapes, cylinders and discs. By blending different grades the range of properties obtained can be considerably extended. Grades of varying particle size distribution, apparent density, surface area and molecular weight can be chosen offering good strength and rigidity. 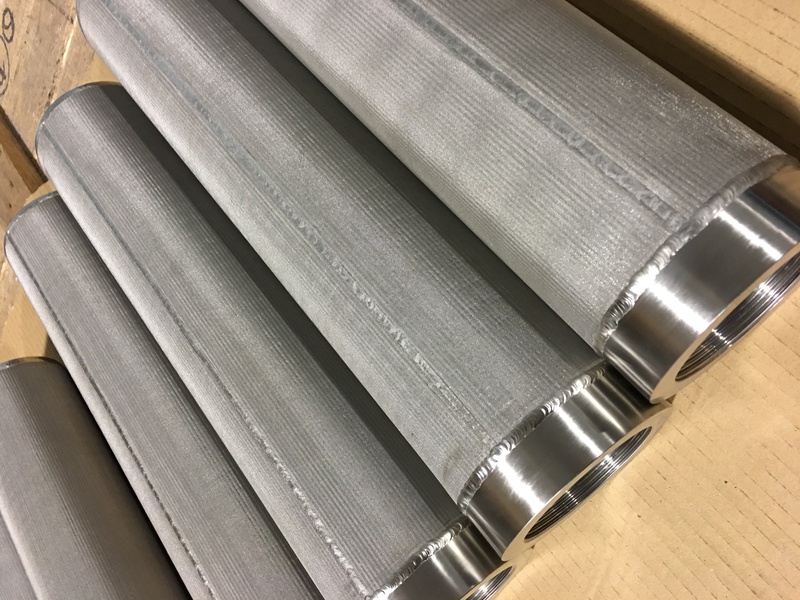 SintAbond™ HP filters are custom manufactured non standard high pressure filters and parts, designed to exceed the demands of challenging environments and applications. 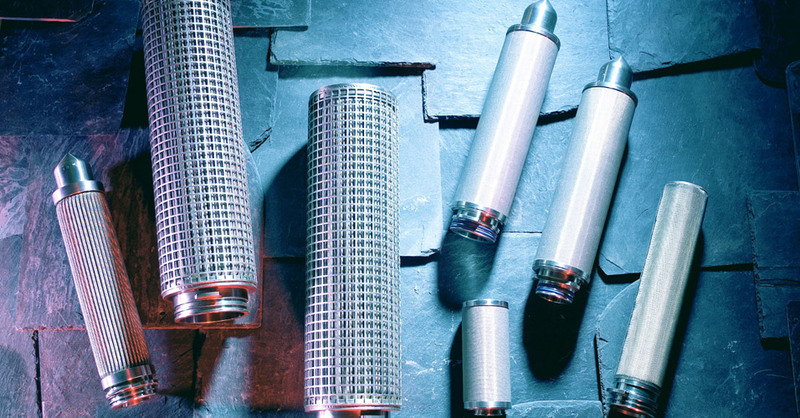 CFL have a high level of capability to design manufacture and deliver specialist high quality filters and parts fit for purpose. A uniform precision woven wire mesh with nominal and absolute micron ratings of 3 to 1000 micron. Click here for woven wire mesh specifications.